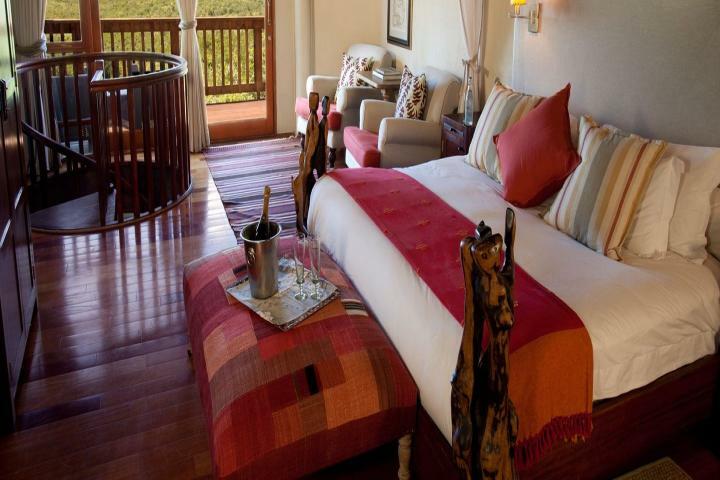 Ulusaba is Sir Richard Branson’s Private Safari Game Reserve located in the Sabi Sand Reserve in South Africa. Ulusaba is known for the quality of its safari experience, with some of the most experienced Rangers and Trackers in the country. The team is encouraged to let their personalities shine through, so you can relax as soon as you step off the plane at our private airstrip. Ulusaba, meaning “Place of Little Fear” strikes the perfect balance between nature and nurture - as well as being an excellent place to observe the “Big Five”, it is also an ideal place to kick back and unwind. 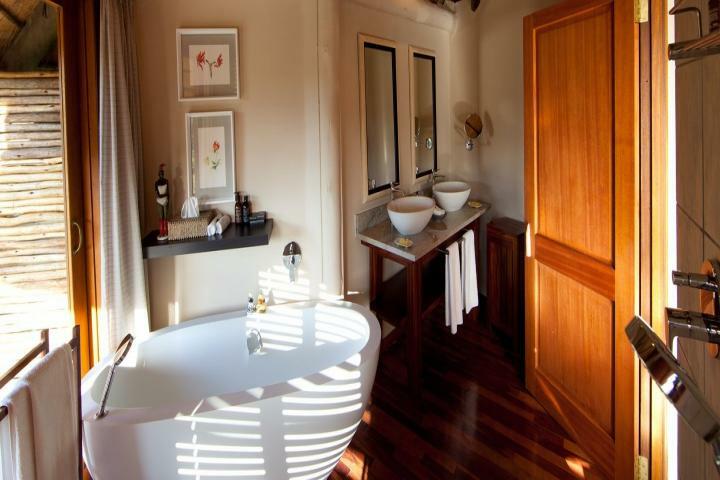 Ulusaba re-defines the rules of a safari lodge and has taken a step away from the traditional colonial style by offering swimming pools, gymnasiums, a wine cellar, Aroma Boma spas with panoramic views, a Bush Observatory perfect for star gazing and tennis courts. 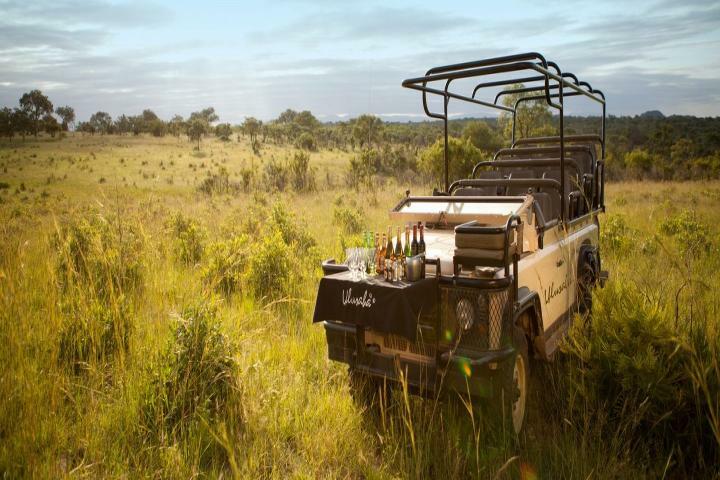 With all of these facilities, you really need to plan your days so you can enjoy safari walks, moon-lit bush dinners and of course, the twice daily game drives.Ulusaba has 21 rooms and suites spread over two lodges. Rock Lodge and Cliff Lodge a two bedroom suite, both perched high on the summit of a koppie with views over the South African bush below. You’re on top of the world at Rock Lodge! Survey miles of game-rich bush as you stand eight hundred feet above the wilderness. 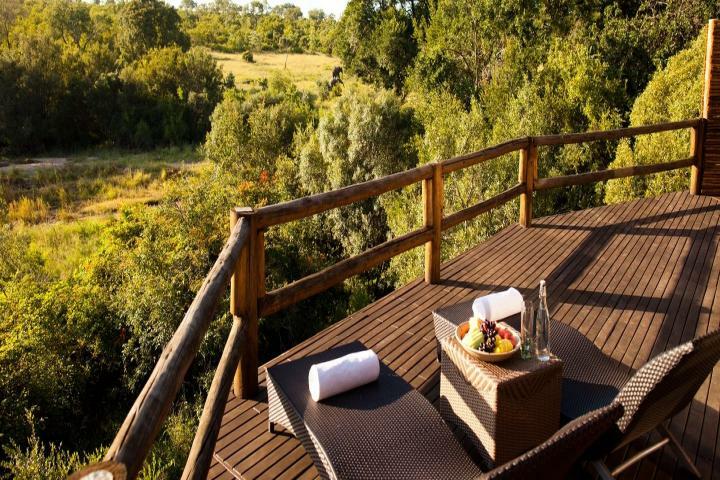 Rock Lodge gives you panoramic views over miles of Bush. 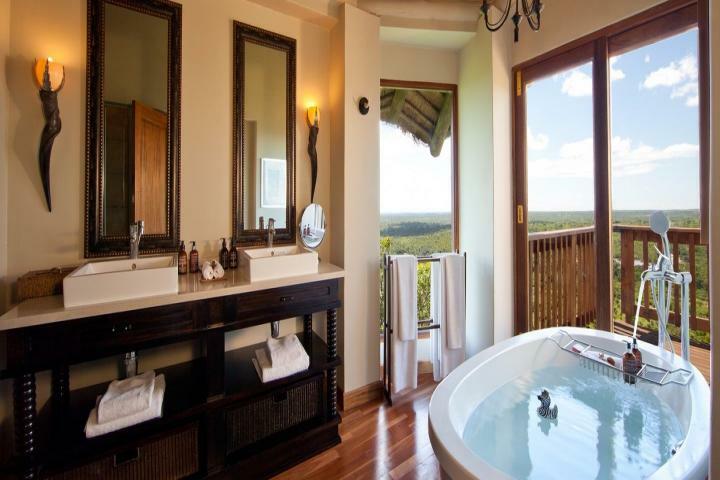 Swim in natural waters at the very top, or wander around the lodge and you’ll find several viewing decks, each with a different sight to see. Make a splash in the outdoor pool or get active in our fully equipped gym and run off some of the South African goodies. Our Aroma Boma spa has a view unlike any other spa and looks over the Drakensberg Mountain range. 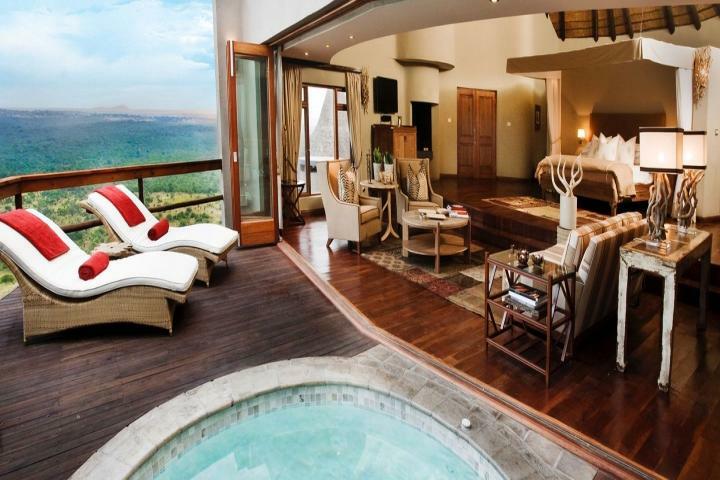 Here the view is king and there are endless opportunities to spot the roaming wildlife, all set against a backdrop of the Drakensberg Mountains far in the distance. 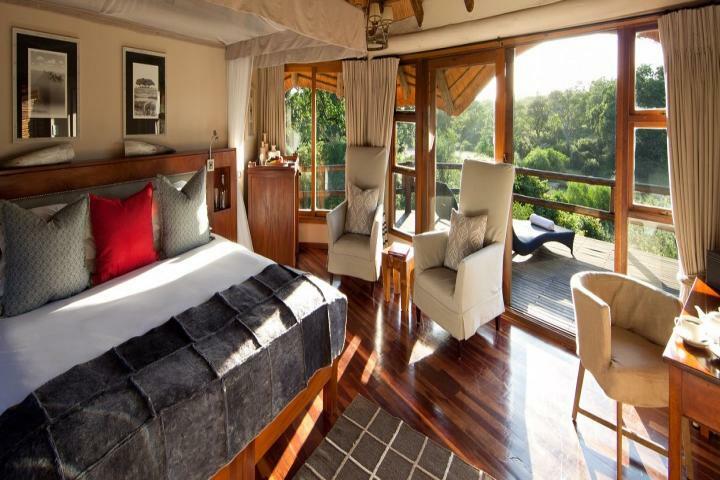 The view inside is just as spectacular and the granite rock of the koppie is a key feature of the main house’s design and each room has a different design reflecting African tribal influences and style. There are 8 rooms at Rock Lodge, including our Master Suite, Makwela Suites, Rock Cliff rooms and the two bedroom Rock Suite, some of which have private plunge pools.There are 8 rooms at Rock Lodge, including our Master Suite, Makwela Suites, Rock Cliff rooms and the two bedroom Rock Suite, some of which have private plunge pools. Rock Lodge welcomes children of any age. 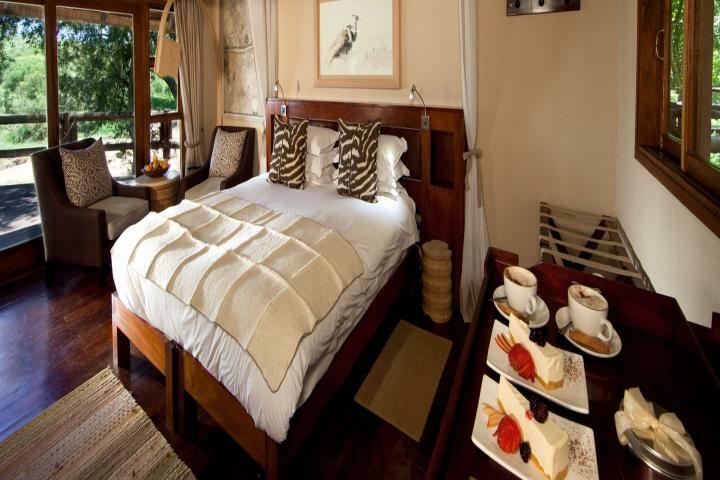 Safari Lodge fits snugly into the bush located beneath a canopy of ancient trees on the edge of a dry riverbed. You’ll love the sense of adventure as you access some of the rooms by swing bridges. 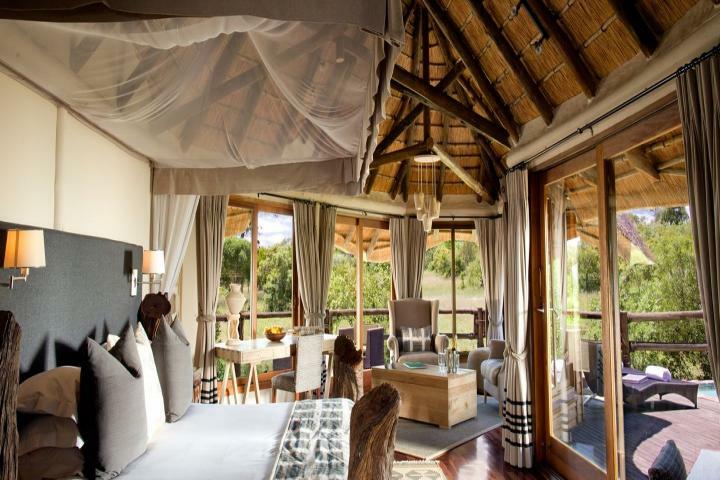 Your room will provide fascinating views of the animals as they stroll past on their way to the nearby watering hole. 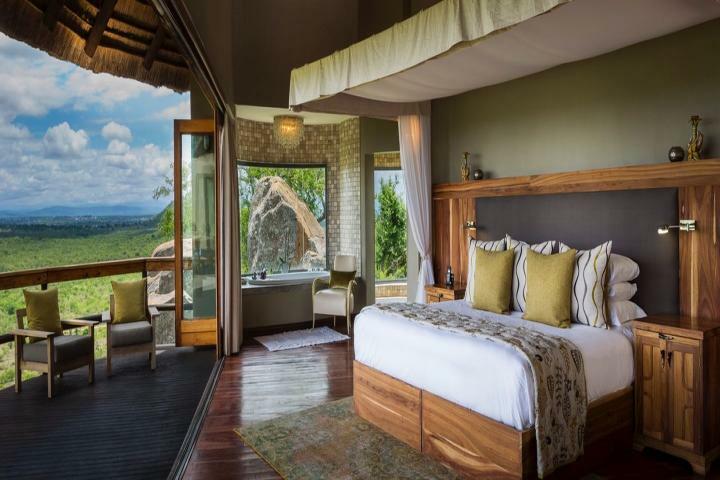 The 11 rooms at Safari Lodge include a Treehouse Suite overlooking the nearby Xikwenga Dam as well as three other room types: Safari, Elephant and River Rooms, some of which have private plunge pools. Kids over the age of 12 are welcome to stay at Safari Lodge. 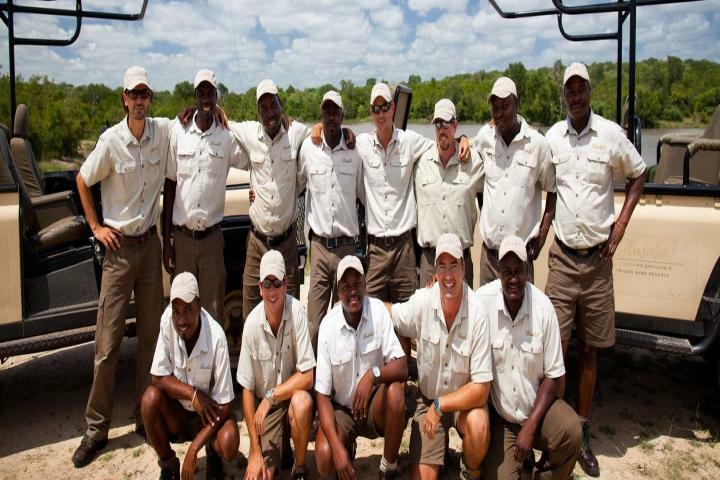 smiles while you’re here in the Ulusaba Private Safari Game Reserve. If you want to spend some time soaking up the environment and wildlife, scoot away for the day for one of our scenic tours. Get up close and personal with these magnificent creatures. This experience allows you to touch, exchange trunk greetings and offer tasty treats to elephants in Hazyview on the banks of the Sabie River. We welcome children of all ages during the excursions (under adult supervision). For the Elephant Ride experience kids have to be at least 4 years old. Experience the thrill of being close to these magnificent creatures and witness their intelligence, their compassionate nature and sheer delight interacting with their human counterparts. The interaction with the elephant offers you the opportunity to touch the elephant, exchange trunk greetings and offer tasty treats. Experienced elephant handlers share their in-depth knowledge of fascinating elephant behaviour. For a memorable hour, guests have the chance to interact with these enormous creatures – handing out pellets and touching the varying textures of their trunk, tongue, skin and feet. After the interaction, saddle-up and set off into the African bush on the back of the elephant. Enjoy a different perspective while embarking on a journey that was once a privilege reserved only for kings! 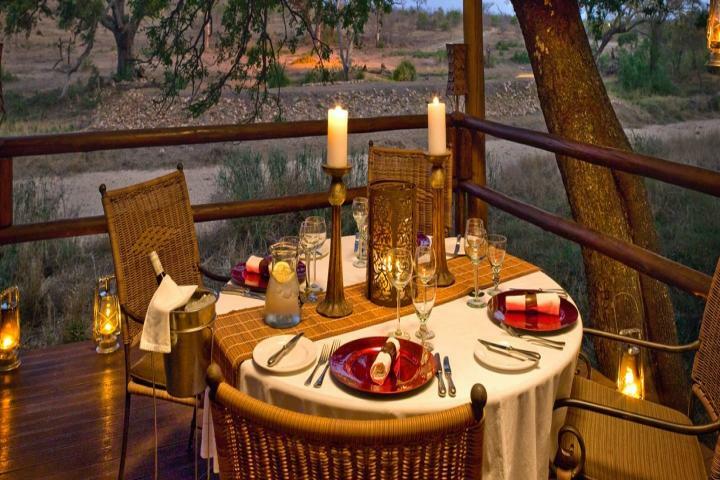 After your interaction and elephant ride, enjoy a delicious lunch at Hippo Hollow Country Estate. On arrival your hosts, the elephant, extend a warm welcome to you! Experience the pleasure of interacting with these amazing creatures and learn about their important role as wildlife ambassadors for the African elephant. 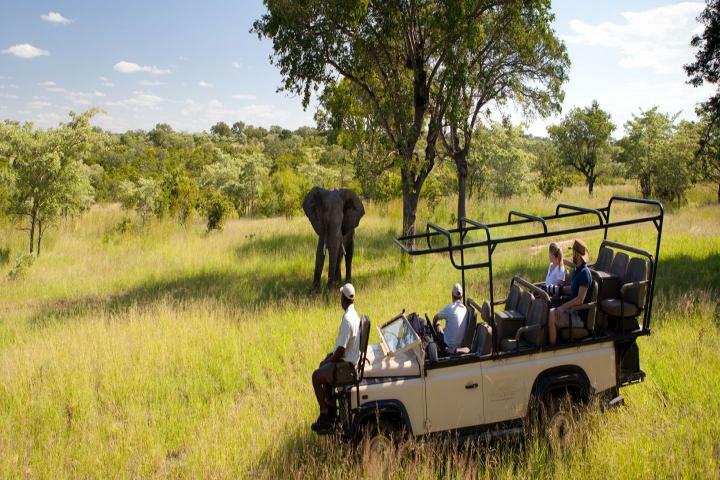 Saddle-up and set off into the African bush on the back of the elephant for a wonderful view of our surroundings. During the ride you are able to stop at any time to experience walking with the elephant too. This allows you to get great photographs of the elephant in the bush and interacting with their handlers. 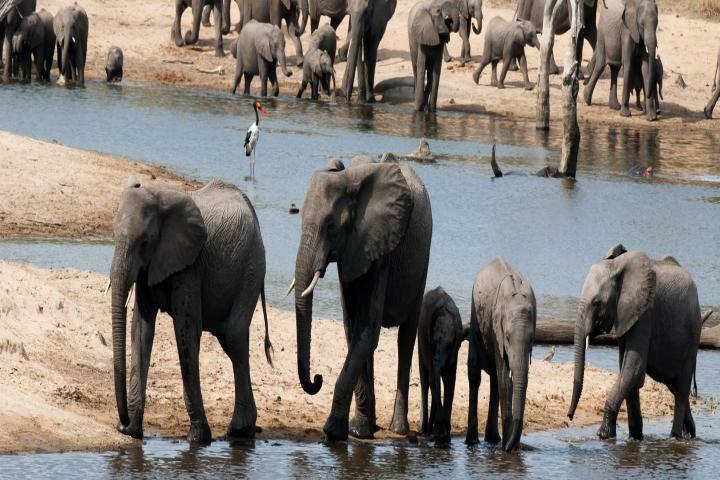 The privilege of dining with these large mammals will become a reality, as a delicious picnic is spread out before you as you watch the elephant cavorting in the dam and enjoying their mud bath. A day out on the famed ‘Panorama Route’ along the Drakensberg Escarpment: this tour features visits to the Victorian Town of Pilgrims Rest, the infamous Robber’s Grave, Blyde River Canyon, The Three Rondavels, God’s Window, Bourke’s Luck Potholes and Lisbon Waterfalls. You’ll get up close and personal with some of the region’s natural beauty, and we’ll tell you about the history of the area’s hardy pioneers. Lunch is enjoyed at Harries Original Pancake Restaurant in Graskop, where sweet, freshly prepared, pancakes and fresh salads and other country fare are served. This is a full day excursion. Take an exhilarating helicopter flight that swoops over deep and mysterious gorges and through lush valleys bursting with vegetation and colour. Linger above cascading waterfalls for some brilliant photo opportunities. The flight will continue to God’s Window, which offers awesome panoramic views of the bushveld below. Then it’s on to the fascinating and dramatic rock formations of the 1 000-metre-deep, 30-kilometrelong Blyde River Canyon, (the third deepest and greenest Canyon in the World). You will have a bird’s eye view of the curious Three Rondavels! 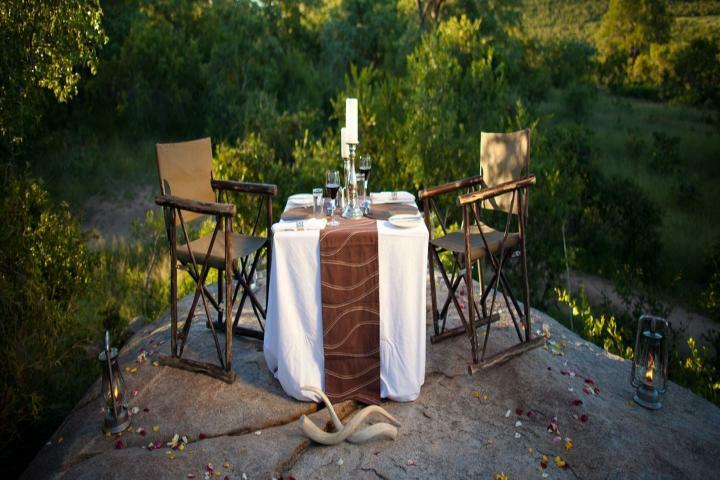 We will then land at a site with magnificent views of the Mpumalanga Lowveld, while you tuck into a delicious picnic. African Bush. In spring and summer (October to April) the temperature averages 34°C/93°F. The days are glorious, the vegetation lush and the nights pleasantly warm. During autumn and winter (May to September) the days are moderately warm and sunny with an average temperature of 26°C/79°F, while the nights are cool and crisp. 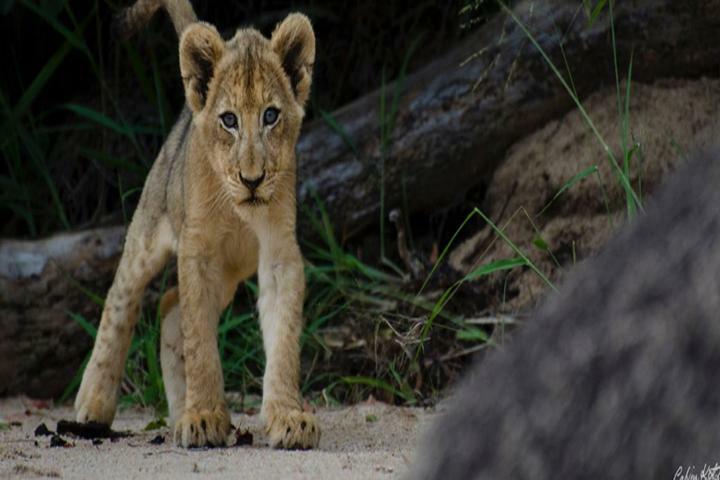 Ulusaba Private Game Reserve is located in the western sector of the Sabi Sand Reserve close to Kruger National Park which is in the Mpumalanga province of South Africa. 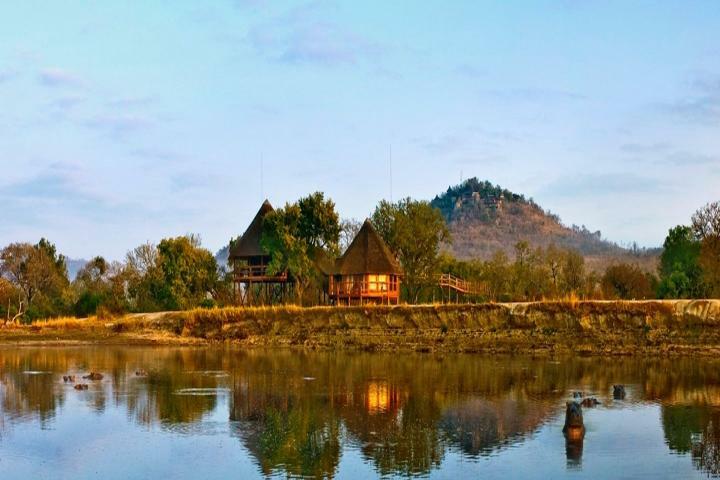 Ulusaba is approximately a 1 hour and 20 minute flight from the international airport in Johannesburg (OR Tambo International) flying by twin-engine aircraft, or 30 minutes from Kruger Mpumalanga International Airport (KMIA). We have our own private airstrip and there are daily scheduled and charter flights available. Get a window seat - the view’s terrific! You can also come by road too from KMIA, which will take about 2 hours.